In her response, Dr. Bernstein pointed out that the FDA had already done some work to look at the barcode rule a few years ago and now that the DQSA has passed, they intend to look at the barcode situation holistically. That is encouraging because it makes it clear that the FDA will at least consider eliminating the linear barcode requirement entirely at some point in the future. 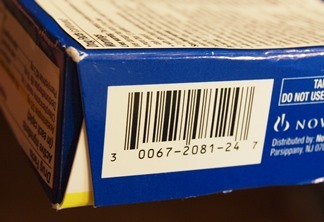 In my view, the linear barcode has outlived its usefulness and the FDA should jump at this golden opportunity to leave linear barcodes behind and bring the industry into the 2D world so it can begin to reap the benefits (see “Why NOW Is The Time To Move Away From Linear Barcodes”). They should look at the DQSA as an actual Congressional mandate to do so. That’s right, the Drug Supply Chain Security Act, which is Title II of the DQSA, requires all non-exempt drug packages to include a 2D DataMatrix barcode on them before November 27, 2017 (repackaged drugs, before November 27 2018). Here is the exact wording from section 582(a)(9). The only problem is, there are a lot of companies out there in the supply chain that have made heavy investments in barcode readers that are only capable of reading linear barcodes, and they still have quite a few more years before they will start failing and need replacing. Some of those folks always cry out whenever the FDA starts making noises like they might allow manufacturers to eliminate the linear barcode. My fear is that will cause the FDA to continue to require linear barcodes for some period of time after November 2017 when the 2D barcode will become a requirement. Requiring the new 2D barcode without removing the linear barcode requirement would be the worst possible outcome because it will take up more real estate on drug packages and it will delay the use of the 2D barcode which will delay the benefits to the industry and to patients. You need to be ready to counter the arguments of those who will fight to keep the linear barcode. Be ready when the FDA asks for public input on the matter sometime early next year. And don’t forget to fill out the 2014 RxTrace U.S. Pharma Supply Chain Traceability survey. Click on the banner below to fill it out now. It only takes a few minutes and your input will help us understand the industry’s aggregated thinking on topics directly related to the DQSA. You will want to see the results in early 2014, so why not contribute your anonymous input now. If you have already filled out the survey, thank you! Dirk, As usual, well said. It’s long past time for the linear barcode to take a rest. 4) require the immediate removal of any product that has a “non-readable” code from the supply chain. 1) ECC200 compatibility would drive the best readability possible with the 2D encoding, virtually eliminating the WORST thing possible, MISINFORMATION in the information systems. 2) While ALLOWING the linear barcode to remain in use for a fixed period, this would allow those parties who cannot afford an immediate move to 2D to execute a longer transition from 1D to 2D. However, that allowance would sharply ENCOURAGE their transition as rapidly as possible by adding to their cost of placing both the 2D and linear codes, in terms of both processing costs ($ and time) and “real estate” on the products. 3) By placing no constraints on the “dot” size of the 2D datamatrix, the supply chain would have some affordability flexibility in matching their reader costs to their mark size to their pocketbooks. 4) In my experience, misinformation is FAR WORSE than NO information, and I would hold that in the pharmaceutical industry, this is particularly true. This issue is also pertinent to China where linear barcodes are currently the required format for Rx traceability. I’m told this data carrier was chosen due to the very large installed base of laser-based linear barcode readers and the difficulty of replacing them all at once. Developing a clear and sensible migration path from linear to 2D codes, recognising the realities in the supply chain, would be a useful exercise for the FDA to sponsor and catalyse. The output might even prove a template for persuading the Chinese to come on board with GS1 standards and datamatrix codes as the next phase of system development in China. With global (as well as federal) traceability in mind, addressing these practical issues early with clear guidance will pay dividends.